If only we didn't have to think about healthy eating and exercise. If only it came naturally and without effort. Unfortunately, it doesn't. We all have our own perceived problem areas, and we call them that for a reason. Sometimes, it feels like no matter what you do, how regimented your workouts are, or how detailed your food journal is, your problem area won't budge. For a lot of people, that problem area is the midsection. And we've long dreamed of having enviable abs à la Gigi Hadid and Kate Hudson, so we decided it was high time to do some research. Here, we've assembled a list of nine foods to avoid if you're specifically aiming to shed belly fat. Just be cautious: We can't guarantee you'll like what you hear. Keep scrolling to learn which foods you should steer clear of in order to get a flatter stomach. A study in the American Journal of Clinical Nutrition found that a diet rich in medium-chain triglycerides, as opposed to long-chain triglycerides, diminished overall abdominal fat. Long-chain triglycerides are present in dairy products. This isn't to say that dairy is completely off limits, as healthy options like skim milk supply the body with protein and calcium. Cheese, on the other hand, is dense in calories and saturated fat. If you're aiming for a slimmer midsection, do as the French do, and stay away from processed, melted cheese, and eat small portions of additive-free fromage instead. Soda is sweetened with artificial sugars and high-fructose corn syrup. According to a study in the Journal of Nutrition, consuming large amounts of fructose results in increased intra-abdominal fat. Even reaching for diet soda won't make a difference. Steer clear of the sugary drink completely, and reach for fruit-infused waters instead. They're much more hydrating and just as yummy. We recommend this water bottle for all your daily hydrating needs. 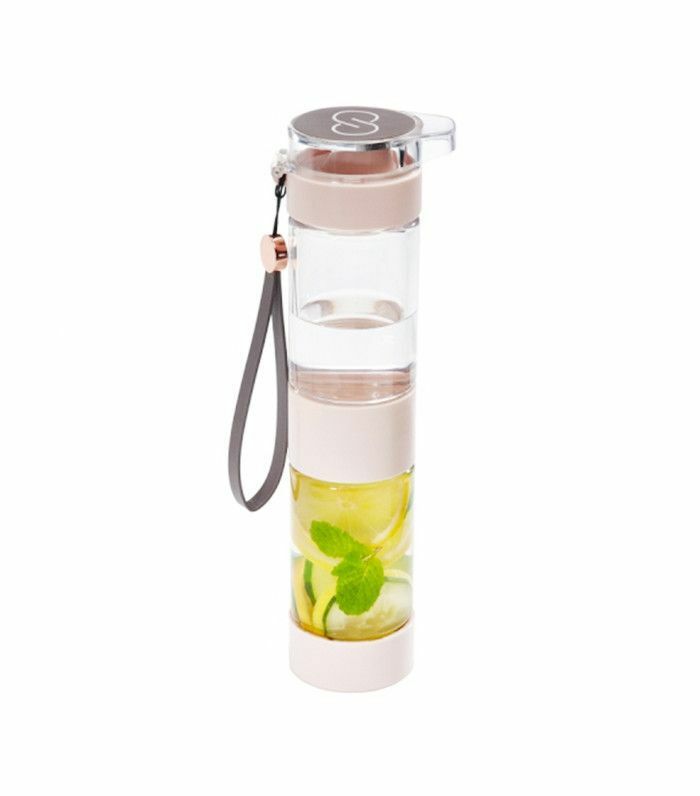 It has a separate compartment for any fruit or herbs you'd like to infuse into your water. Need some help creating tasty fruit-infused water? Find four easy and delicious detox water recipes here. Meat can be a healthy part of your diet. It supplies your body with large amounts of protein for maintained energy levels and new muscle cell production. However, processed meats that are high in saturated fat (yes, that includes bacon) aren't your healthy-lifestyle friends. Instead, look to plant proteins or lean meats like grilled chicken and fish to fulfill your daily quota. We hate to be the bearer of bad news, but that weekly happy hour could be doing more harm than good. According to one scientific study, your drinking pattern matters just as much as your choice of alcohol. Over the course of the 30-day study, people who had more than one drink in a sitting, even if it was just once a week, had more abdominal fat than those who drank small amounts of alcohol more regularly. What does this mean for you? You don't have to stay away from alcohol completely—just stay away from having more than one drink per sitting. Experts recommend drinking a small glass of red wine every night with dinner. It does wonders for your cardiovascular system while supplying your body with powerful antioxidants. You've probably heard the good news. Following a Mediterranean diet (one that's high in lean, antioxidant-packed foods like olive oil, leafy greens, and fish) can do wonders for your mind and body. Low-fat or fat-free salad dressings replace healthy monounsaturated fats with additives and chemicals. Instead, make your own! Simply combine olive oil with lemon and red-wine or balsamic vinegar. It takes your salad to the next level. 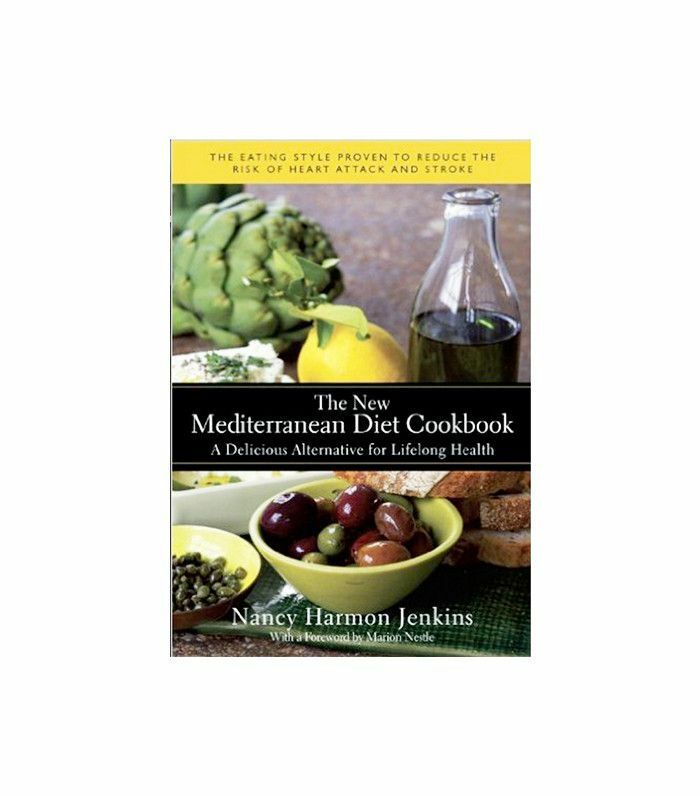 Interested in the Mediterranean diet? This book will teach you all you need to know and includes mouthwatering recipes that are sure to keep you full. Just like soda, most store-bought fruit juices are full of additives, sweeteners, and, yes, high-fructose corn syrup. The same goes for store-bought smoothies. Do yourself a favor and make your own juices and smoothies at home. You'll know each ingredient is fresh and healthy, and rest assured: Your waistline will benefit. Refined carbohydrates like bread are another food that should be limited in a healthy diet. One study found that diets rich in "dense acellular carbohydrates" promote inflammation and weight gain. Try replacing your go-to morning bagel with something healthier—think protein and fruit. You might even notice a difference in your energy levels throughout the day. That's not to say bread is always off limits. (It's one of our greatest joys, after all.) Instead, reach for whole-grain options, which have more nutritional value and will keep you feeling full longer. Although certain meals and shakes packaged as diet-friendly may be low in calories and fat, they're usually extremely high in sodium and preservatives. Don't be fooled by low-calorie diet bars either—you'll be hungry again in no time thanks to their lack of natural nutrition. It's better to snack on foods rich in vitamins and minerals. They'll keep you full longer, and your hair, skin, and mood will be improved over time. Although salt won't actually contribute to the addition of belly fat, it can bloat the area, making you feel, er, not so great. Minimize the amount you use in your cooking by replacing it with fresh herbs and spices instead. Think ginger, basil, and turmeric. Looking for quick results? Next up, read about all of the things you can do to get a flatter tummy in 24 hours.